Google’s upcoming Chrome OS is being primarily designed for netbook computers, which has shown its interest in tablet computing with its browser-based Chrome OS, it could be the ideal operating system to run on a tablet device – and this is an option that Google is considering. More information about how the new operating system could be optimised for such a form factor is revealed in documentation on Google’s Chromium projects website. 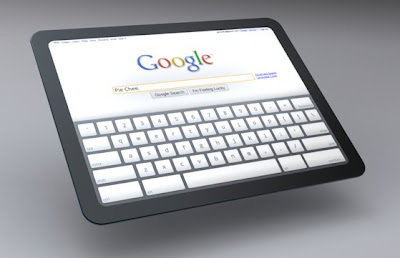 On Monday, Glen Murphy, a user interface designer for Google's Chrome browser and the Chrome operating system based on it, pointed to image and video concepts of a Chrome OS-based tablet that went live two days before the iPad launch. Apparently nobody noticed initially, because only now did Murphy tweet, "Apparently our tablet mocks have been unearthed." The site also shows the array of devices Google envisions for Chrome OS. "While its primary focus is Netbooks, Chrome OS could eventually scale to a wide variety of devices. 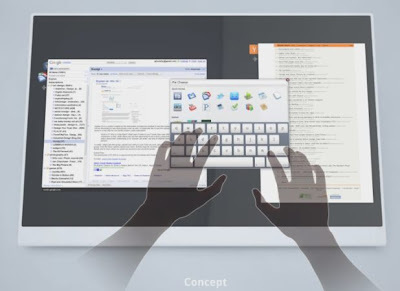 Each would have vastly different input methods, available screen space, and processing power," according to the Chromium form factors site. Chromium is the name of the open-source developer project that underlies the branded Chrome product. It's possible that Chrome OS could be an easier sell on tablets than on Netbooks, the class of device on which Google said it plans to launch Chrome OS. Netbooks often are used as general-purpose PCs, so the browser-based philosophy of Chrome OS is a more jarring transition. Today's tablets, in contrast, tend to focus more on a collection of specialized uses such as reading books, surfing the Net, and chores that only require light typing. With that approach, Chrome OS's break from the PC world could be less jarring. The tablet market isn't as big as the Netbook market, though. The ideas are only mock-ups, but Google has established itself as a real if not dominant force in the computing industry. Its Android mobile phone operating system is increasingly influential, and its Chrome browser continues to steadily grow in usage.